Peat Island has been home to more than 3000 residents, the youngest being only 5 years old. For 105 years this institute for the mentally ill has been a secretive place, exclusive and sinister. Escape attempts often resulted in drownings and many other unspeakable events occurred as well. No one really knew what was happening there. Now we know that inside its perimeter were unfortunate souls, some of whom suffered dreadfully, either from their congenital condition or at the hands of cruel attendants. Adrian Mitchell found the topic ‘acutely painful and distressing’, but it had to be told. In doing so he would not have made too many friends among the politicians and public servants who were involved with the institution. Mitchell was not impressed with any of them or with governments as a whole, and no wonder. After reading this sad and sorry account there will not be too many disagreeing with him. As a result of an increase in drunkenness and the general poverty resulting from it, the New South Wales Government decided to provide an Asylum for Female Inebriates on Rabbit Island at the mouth of the Hawkesbury River. It was completed in 1905 at a cost of £6500. As a result of government indecision it stood empty for the first three years before it was handed over to the Lunacy Department in 1908. Extra dormitories were added by the new owners, but still it remained vacant until 1910 when it became the Hospital for the Insane for men and boys with intellectual disabilities. From early 1911 the first 40 patients were admitted and before long there were as many as 80 but there was only room for 64 at the most. Most of the patients came from the Newcastle Asylum for Imbeciles and Idiots. It was a makeshift start with many facilities still lacking. Access to the hospital was only via the river by boat. Attendants were unhappy with their employment conditions, which included 12 hour shifts, and didn’t think much of their pay either. There was no doctor on site, no medical superintendent or anyone with any kind of medical knowledge. Staff were often demoralised, ignorant, incompetent and/or uninterested. As no records were kept, staff knew nothing about the patients in their care. Worse still was the realisation that the buildings, facilities and conditions were not designed for insane inmates. Within a short time it was also used as a kind of quarantine station for navy men with diphtheria, a far cry from the original proposed hospital for inebriate women. Rabbit Island was regarded as a human wastepaper basket. Meanwhile with no fencing between the grounds and the river, drownings of unhappy patients trying to escape their hospital (prison) were reported in the local papers as were the murders. In 1917 Rabbit Island Hospital for the Insane became the Rabbit Island Mental Hospital. This has been, and still is, the way governments try to show that they are on the ball and things are improving. It sounded much better but no changes were made, certainly not in the treatment of the 154 patients. Among the staff were ex-soldiers, returned from the war, hardened by their experiences overseas. They adapted the structures of military hierarchy which fitted very well,…for them. It provided a ready model for maintaining control and they turned to familiar patterns of discipline and punishment to enforce it. One kind of punishment was the threat of being relocated to nearby Milson Island, which was even worse. There the wards were open to the elements on the side which faced the river. On Milson Island some inmates were confined for most of the day to concrete pens. They stood there, soiled themselves and urinated. Attendants would hose them down, and the area in which they stood, at the end of the day. All very rough and ready, but not very humane. In 1926 the New South Wales government passed the Mental Defectives Act into law. In it defectives were defined as idiots, imbeciles, feeble-minded and moral defectives. The unspoken word in this Act and the principle concept behind it was Eugenics, a policy which would become controversial later in Fascist Germany. With the change of time and government during the 1930s Rabbit Island was renamed. 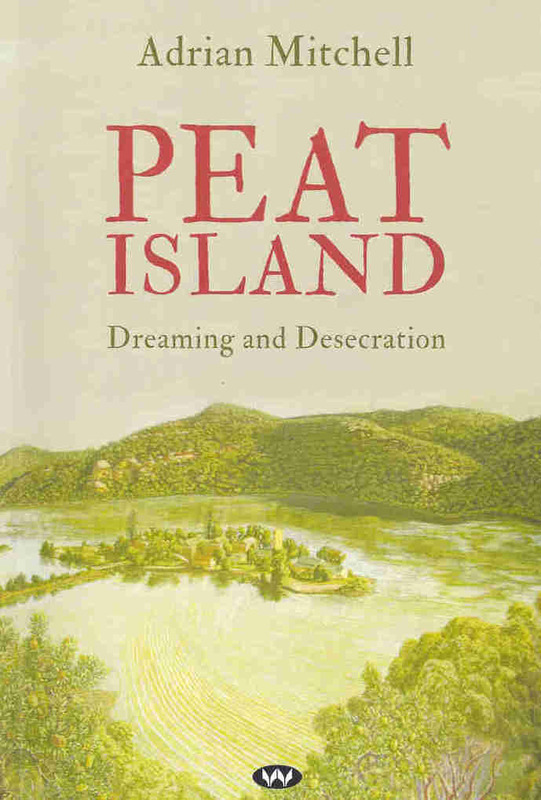 It was now going to be called Peat Island. George Peat, born in 1794, was the son of convict Charles Peat and the convict girl, Elizabeth Tutton, whom he had married in 1818. George was intent on making a way for himself, he had no other choice as his parents and younger brother had left the colony for Calcutta. George became a boat builder and boat owner, ferry owner, got married, bought and sold land, including Peat Island and established his family in a very large house. When his wife died he was left with two young children. He remarried in 1828 and would have another seven children. George died in 1870, the family eventually all moved away from the island and the house remained empty until sold to the government. By the 1930s patient numbers had declined from 175 to 150. This was not brought about by patients earning their discharge. The real explanation can be gathered from the 300 unmarked graves at the nearby Brooklyn cemetery. They died all but unknown. As Mitchell sees it, ‘They were put away and then they were put away’. After 1945 there was a large increase in patient numbers but staff numbers had not increased to the same extent. With minimal investment during the post-war years only basic custodial care could be provided. At Peat Island, lunatics, idiots, imbecils, quiet dements, psychogeriatrics and those with infantile paralysis, epilepsy, cerebral palsy and Down Syndrome were all bundled together. The wards were cheerless, the rooms smelt of urine and occasionally of something else. Everything was dull and cold. Even more so the bathroom with its concrete floor where patients with physical disabilities were laid down on the floor and hosed down with a garden hose. No hot water there! Anyone who misbehaved was pushed in a tiny cubicle off the bathroom, naked, sometimes for up to a week. They were left with a horsehair mattress, no sheets or blankets and a rubber bucket for a toilet. And there they stayed, howling and screaming in fear, anger and despair. During the 1950s there were some improvements in patient care, staffing and facilities. Finally the outside world was taking an interest. In February 1957 Channel 7 donated the hospital’s first television set. A start was also made with a permanent canteen and for the first time women were employed and a school started for the boys. Life on the island was improving slowly, but gross physical and sexual assaults by staff members, who were now called male nurses, was still occurring regularly. The first female nurses were not appointed until 1964. With more staff the safety and comfort of the patients improved. In 1965 a medical superintendent was appointed. There were many changes after patients were awarded a government pension. They could now buy their own things, including clothes, sweets, cigarettes and even transistor radios. Dance nights were organised occasionally and females invited. Still, even though the changes looked good on paper, in practical terms they meant little to the patients. When during the 1970s budgets were important and to meet their requirements, patients were shifted or discharged. Not because they were ‘cured’. In 1976 female patients were admitted for the first time. Five years later a 17 year old youth was in temporary care. When he was picked up by his father two weeks later he had been mutilated. All ten of his fingernails had been removed. Endless inquiries followed, reports were written, commissions established and directives issued but nobody knew who was responsible, nobody was ever charged and nothing changed. It never was a real hospital. There was no thought of cure; it just remained a custodial facility. One patient who was admitted as a five year old had been at Peat Island for 55 years. Eventually the facilities became a retardation hospital. When the policy of community accommodation came in vogue it took the NSW government two years to adopt it but the Wran government failed to deliver the promised funding. However with the decline of patients and a slight increase in staff numbers, supervisory attention had improved. It had become a gentler place and the residents were getting older. As late as 1995 though complaints of sustained sexual harassment surfaced as well as 161 cases of alleged physical assaults among residents and against staff. Over time, Peat Island did become a happier place, even as the facility itself aged, fell into disrepair and became a bureaucratic nightmare and a political football. Mitchell’s book should be a must-read for politicians. It may just change their thinking and behaviour and do something rather than ignore things or waffle endlessly. Mitchell hasn’t mixed his words and calls a spade a spade. He gives his opinion about governments, ministers, doctors and anyone else involved with the treatment of this kind of patients, and he is to be admired for that. His research has produced a horrific story, which did not only happen on Peat Island. Peat Island, PB, 248 pp.